Faamy's Blouses got a prettiness in style. 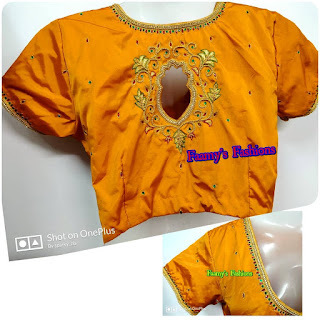 All blouses are customized according to customers desire. 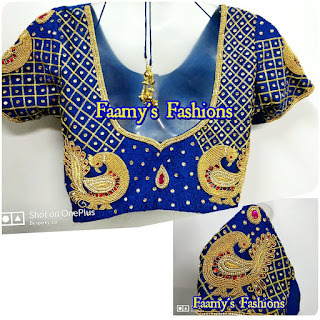 Likewise this Highneck blouse customized elegant embroidery. Highneck blouses are now into fashion trend. 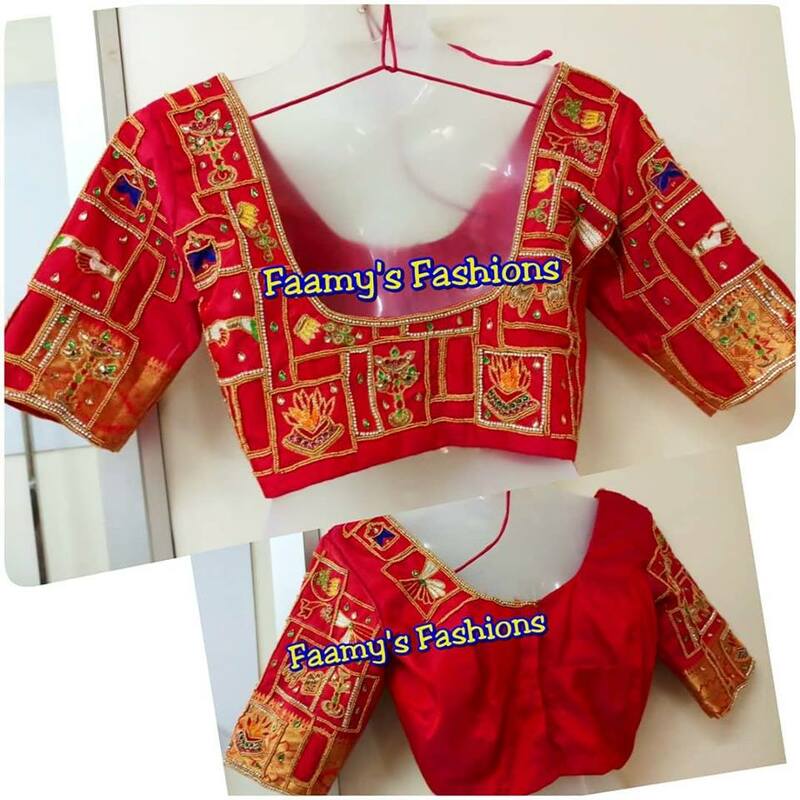 Faamy's Aariwork blouse customized for muhurtham saree looks WOW!! 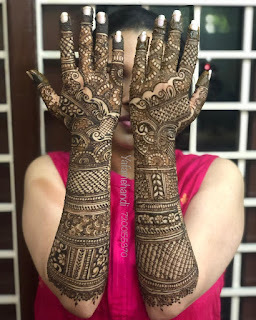 Those tradition works for marriage arrangement is designed in the blouse. 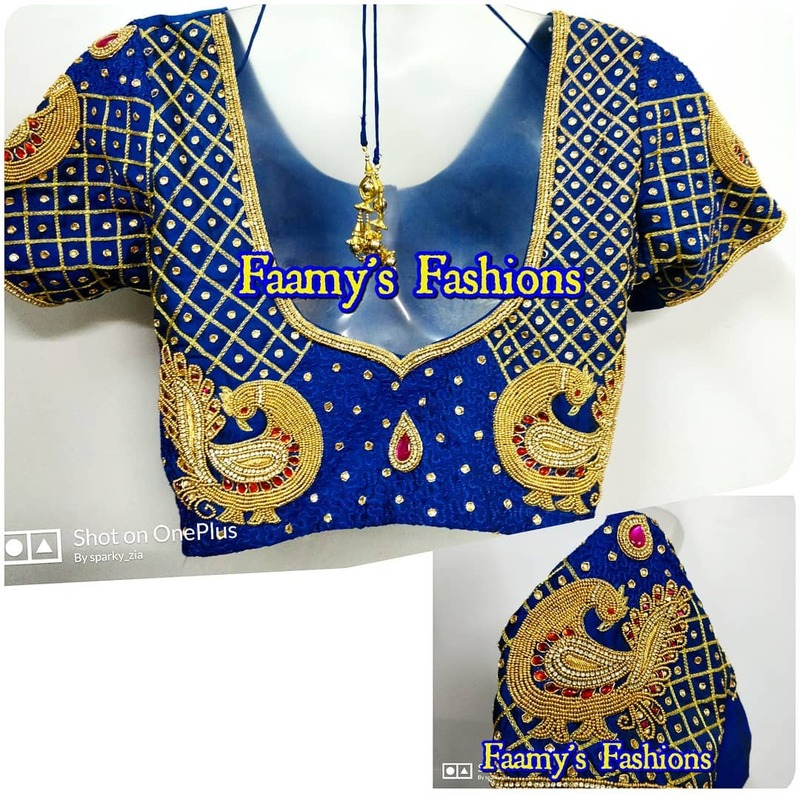 Faamy's traditional peacock design with all over checks and thread load work which higlights the peacock work.